Bob Twiggs is a rock star in the small satellite world. He invented the “CubeSat” satellite standard which has become a world-wide standard for pico-class satellites (satellites weighing 1 km. and under). Nearly 100 universities, aerospace companies, and government agencies have developed CubeSats. They have been flown by NASA, U.S. Department of Defense, Lockheed-Martin, Boeing, and a host of small aerospace companies with great success. Japanese, Chinese, and several European universities and consortia have flown CubeSats, which have become an industry standard. 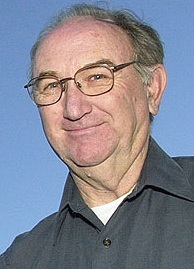 Twiggs is professor emeritus at Stanford University where he founded Stanford’s Space Systems Development Laboratory. He, along with Jordi Puig-Suari of California Polytechnic State University, created the CubeSat standard and a standard for deployment of the satellites in the 1990s. He helped found the Kentucky Space Program in 2004 and recently became a professor at Morehead State University’s Space Science Center. Twiggs will help lead the Space Science program in its goal of becoming a nationally recognized center for education and research in space systems development and operation. The Kentucky Space program, of which MSU is a lead institution (along with UK) has developed its own CubeSat, KySat, which has been downselected for launch on a major NASA mission in 2010. KySat-1 will be the first satellite ever launched by a statewide consortium. As a member of the MSU Space Science team, Twiggs plans to evolve his newest invention the “pocket cube” standard leveraging the universities large aperture (21 m.) space tracking system, and to help develop a space economy in the state of Kentucky. The “pocket cube” is a one-eighth cubic satellite, 8 of which stack together to form a cube capable of utilizing the CubeSat orbital deployment system. The pocket cube will push the industry standard toward the development of true nanosats. This technology is currently only possible to develop because of the revolution in microminiaturization, which has led to increasingly widespread MEMS (microelectromechanical systems) and other nanoscale devices. “The age of nanosats will be ushered in by this technology and with him on board, Morehead State will be a major contributor to the development of this futuristic technology,” said Dr. Ben Malphrus, chair of the Department of Earth and Space Sciences and director of the Space Science Center. According to Dr. Malphrus, Twiggs brings a number of other space projects to Morehead State, including QB50- a project run by the Von Karman Institute in Brussels, Belgium, that plans to build 50 cubesats, 10 of which will be built in the U.S. Another of his’ projects POPACS (Polar Orbiting Passive Atmospheric Calibration Sphere, is a 3-unit cubesat with cold gas propulsion in elliptical 1,500 km. orbit which will be the first cubesat built using a 3-D printer. POPACS will be launched in 2012 by the Air Force Space Test Program. The communications systems for POPACS will be developed at MSU and University faculty and students will control the satellite once on orbit. Twiggs and MSU have signed a launch agreement with Interorbital, a California company that has developed an innovative launch system for small satellites. MSU signed a contract for two suborbital missions, one launched in 2010 from Mojave, Calif., and one orbital mission in 2011 to be launched from Interorbital’s launch facility on the island nation of Tonga. Twiggs and his students will build and operate all three satellites on these missions, called “tubesats,” a pico-sat design based on the cubesat standard. These projects plan to revolutionize the small satellite industry and to establish Morehead State’s Space Science Center as a prominent center for space applications research. Currently, Twiggs is teaching MSU’s introduction to space systems , space systems development and working with the faculty and staff to enhance the curriculum based on suggestions from his connections in the aerospace industry. Twiggs also will assist in managing and training the Kentucky Space student engineering design team and perform a variety of duties associated with Kentucky’s space program. Twiggs will provide a public lecture, “Using Small Satellites for Low Cost Space Education and Science Missions,” on Monday, Oct. 5, at the Space Science Center Star Theater at 7 p.m. as part of the department’s lecture series.